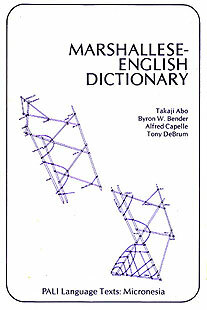 The Marshallese-English Online Dictionary (MOD) is a revised and expanded electronic edition of the Marshallese-English Dictionary (MED below), developed in 2009. Besides a version maintaining the original alphabetization of MED, there is a new unified alphabetization, in which all forms of a letter are alphabetized as if they were the base letter, facilitating look-up. This is the alphabetization used for the Concordances and Place Names. Clicking on English definition words links to the finderlist. 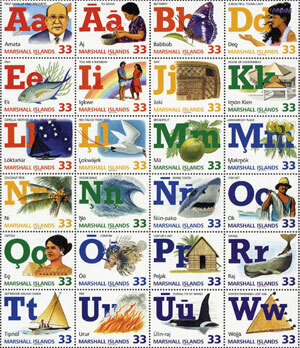 Finder-list references link back to the main list, as an "English-Marshallese Glossary". Appx. 11,000 example sentences are included in MOD (nearly 5,000 more than in MED). All the words in the example sentences are links to the concordance, where all the sentences in which the word appears are grouped together. The Concordance is an index of all the words listed in the example sentences, and the Reverse Concordance, indexes all those words by their endings... all the words ending the same are grouped together. The Place Names section of MED has been included, reordered into the unified alphabetization, along with a new section with the names organized by Location. Peḷọk ilo Meto Ekauwōtata [Drifting in Dangerous Waters], a novella written in Marshallese by Alfred Capelle, one of the coauthors of MED. Click Text on a top menu for the complete text and illustrations, with an English translation by students of Marshallese at the University of Hawai‘i at Mānoa. Example sentences from the novella are included in the dictionary, labeled by a small clickable tag like P842 (P plus sentence number) after the example, which links to the paragraph in the text. Example sentences have also been included in the dictionary from the Short prose selections in Spoken Marshallese, with translations, labeled by a clickable tag like S1276. MOD is intended to be a "living" dictionary, which will be modified and expanded to include new entries, definitions, examples, and features. To this end, users are encouraged to submit suggestions and comments via the email links at the bottom of any page. "For the students and teachers in the schools of the Marshall Islands"
by Takaji Abo, Byron W. Bender, Alfred Capelle, and Tony DeBrum, published by the University Press of Hawai‘i in 1976, as part of the "PALI Language Texts: Micronesia" series. 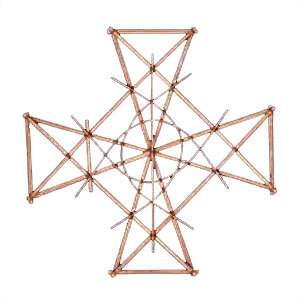 Ennaan, Ḷōmṇak, Kakkobaba, im Kajjiṃwe ko aṃ.